Inner child? What's up? I haven't heard from you in a while. 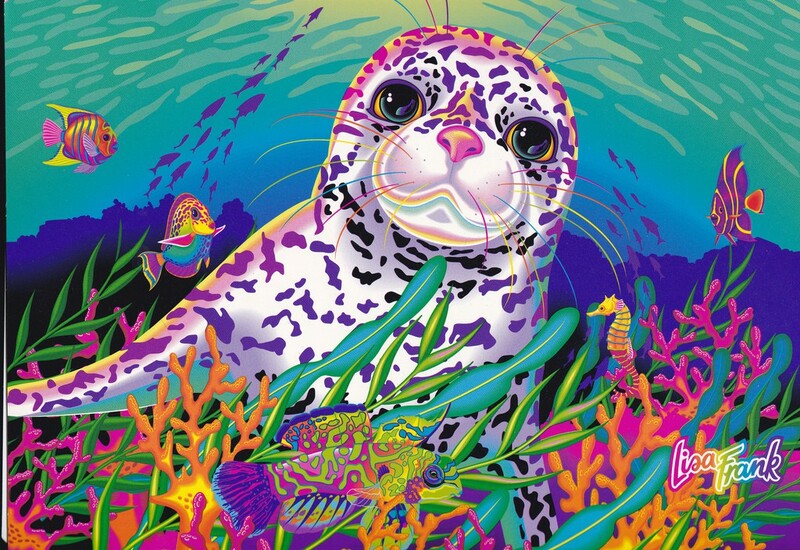 I JUST GOT A LISA FRANK FOLDER. IT HAS DOLPHINS. SO MANY DOLPHINS. Oh, dolphins? That's cool. You don't need to know that you're gonna get bitten by a dolphin at Sea World. Nothing. So, what does the dolphin folder look like? Wow. 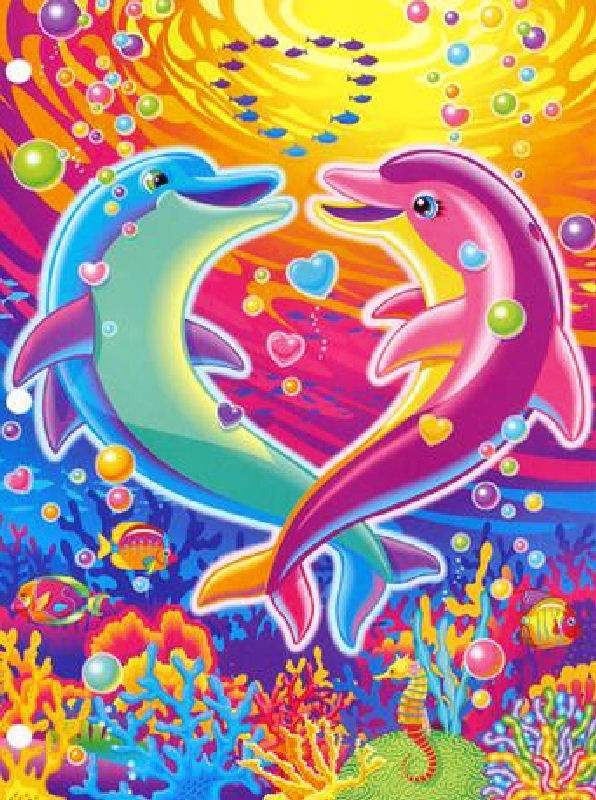 Those are some shockingly monogamous dolphins. Nevermind. 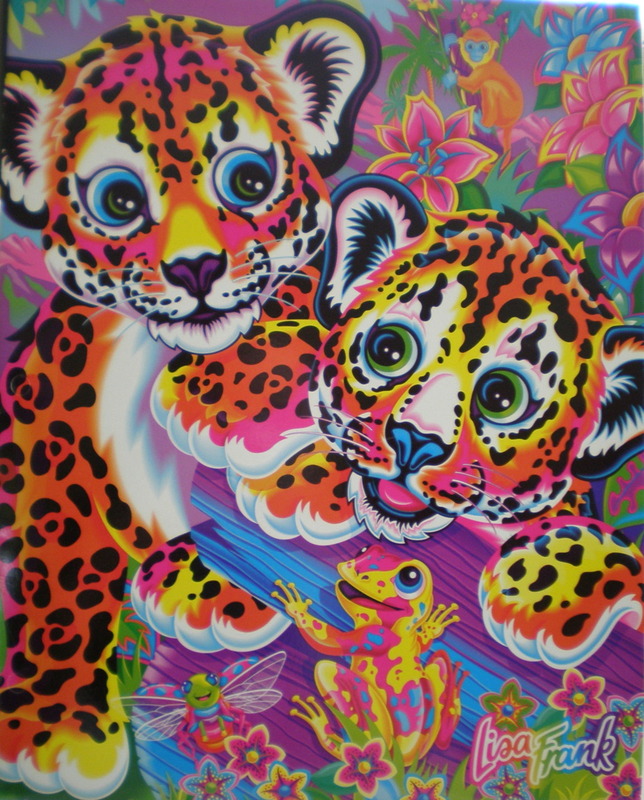 So, listen, inner child, Lisa Frank hasn't been in my life much lately, and I kind of need to get back to work now, so I'm gonna talk to you later. What, like me digging up old folders and stuff? SHUT YOUR WHORE MOUTH, INNER CHILD. A coloring book? Are you for real? OH MY GOD. YOU MEAN I CAN COLOR STUFF LIKE THESE BABY NEON LEOPARDS? 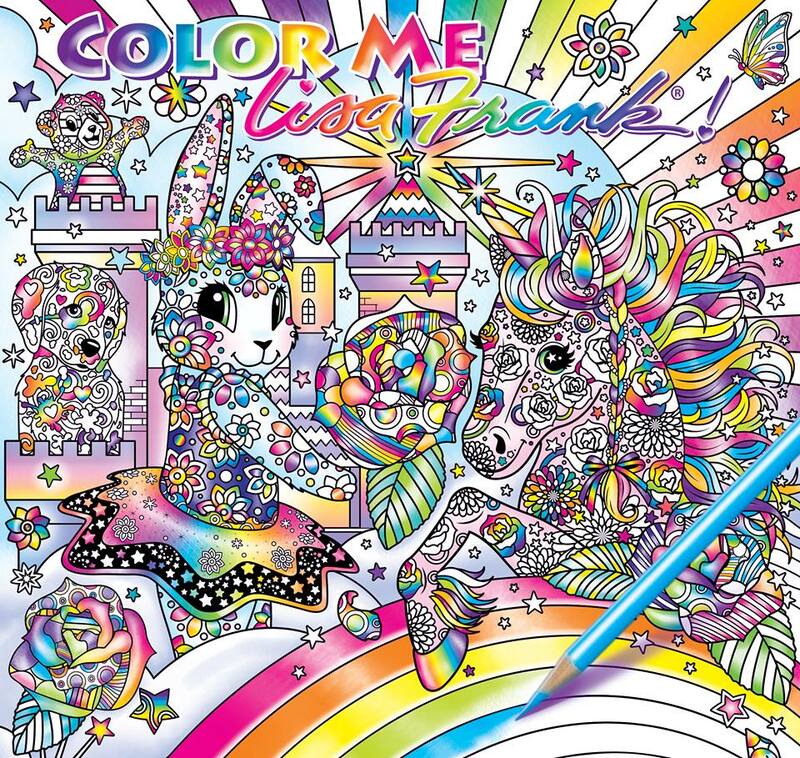 Thank you Lisa Frank for reuniting me with my inner child! 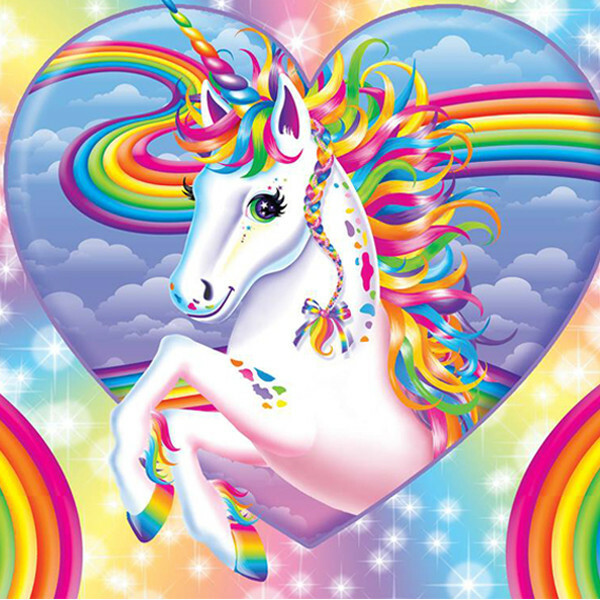 Now, I don't have to be a sad Lisa Frankless adult! You're welcome, my child. You're welcome.